You've completed your series bible, and finished the pilot script for your best show idea. Now you need to get yourself in the room, and prove to producers that your idea should be their next project. You need a sizzle reel. Why do I need a sizzle reel? A sizzle reel is one of the best ways to introduce your project. It can help you lock down meetings with producers and executives, and is one of the most effective tools during your pitch. When you pitch, you're in front of producers who are interested in your creative vision, and you wouldn't be there if they didn't believe in you. Soon they will see what you can bring to the table. Don't go into the room empty handed - Bring a sizzle reel. What is a sizzle reel? A sizzle reel is a video that expresses the goals and overall tone of your show or idea. This can be in the form of a short film, an important scene from your project, or an exciting trailer. "Think 'The Expendables' meets 'The Player'..."
Today, you need something visual to prove that you can deliver on your creative vision. Because if you don't, someone else will. This isn't a gimmick; it has become the most effective way to sell your show, because no matter how good your idea might be, it is still a gamble. Show them that with your idea, the odds are in their favor. Film a short. Shoot a scene. Cut together a trailer. Bang two action figures together... something. Anything other than tossing a big stack of words onto the table in front of them. Because a producer will watch almost anything, but they might not want to spend their night reading a wordy script when they could be out celebrating their exciting new project. We've provided you with sizzle reel examples that turned ideas into reality. What is unique about my idea? Create a visual representation of why the time is now for your idea to be green-lit. It will be deciding who buys it. 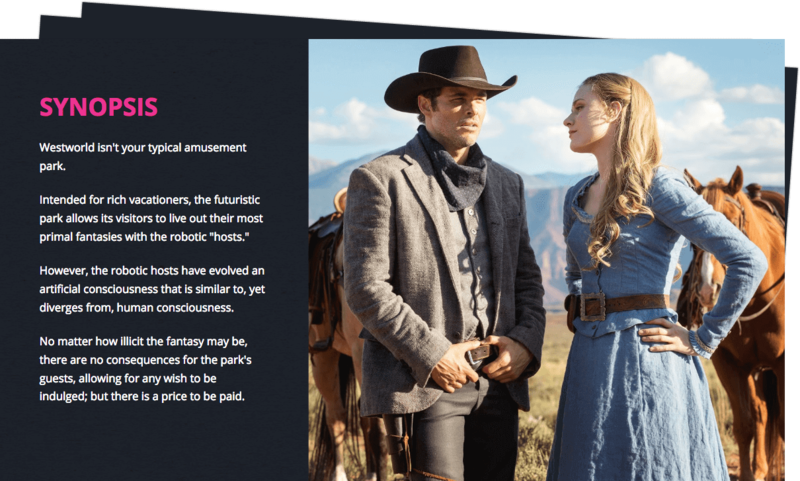 Take your TV series to the next level with our free worksheets and templates. Enter your email, and we'll send instantly send it your way.